A perfectly classic yet contemporary choice for the modern individual. 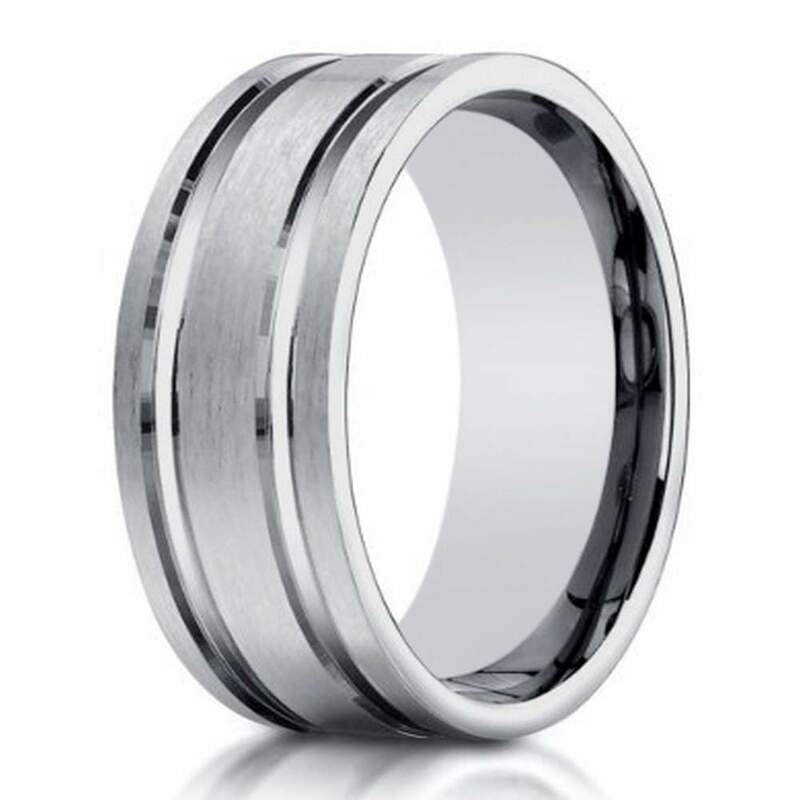 This designer 10K white gold ring for men features parallel polished lines in an 8mm satin finish comfort fit band. This men's white gold wedding ring offers an ideal combination of quality and style along with an affordable price tag. Comfort fit rings usually measure 1/2 size smaller due to the additional metal inside the ring. We recommend having your finger measured for a comfort fit ring at your local jewelry store.